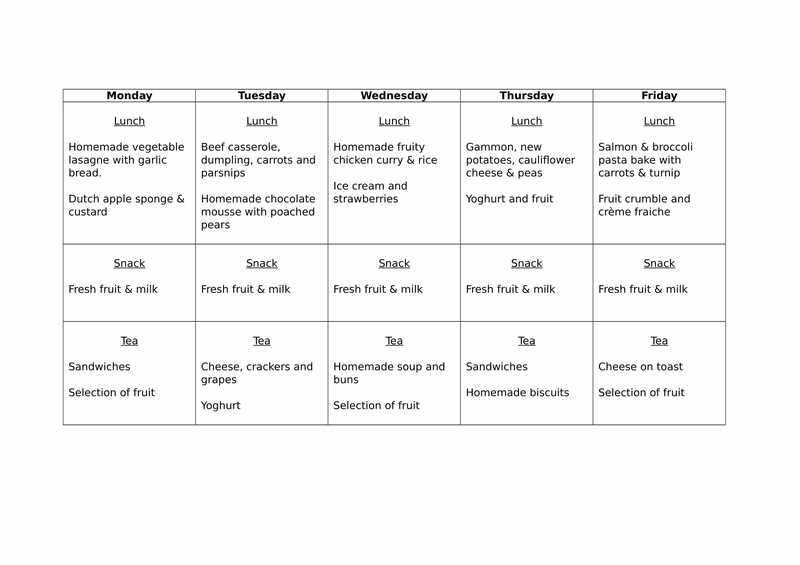 As the children spend a large amount of time at High Bank, it’s important that as a parent you know they are receiving food with plenty of nutrition to form part of a healthy, balanced diet. Offering a varied diet encourages children to experience and enjoy new flavours and textures, giving them the confidence they need to try new things. We support this learning by including seasonal produce in our menus, which change on a weekly basis. 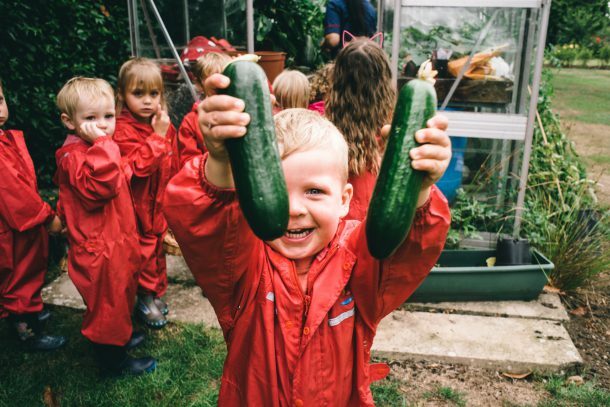 The children plant and pick their own vegetables in our garden and help collect the hen’s eggs from the farm, all of which are used in the cooking, so it’s exciting for them to know they have contributed to the meals they eat. Once they go into pre-school, the children are encouraged to serve their own meals and wash up their dishes after they have finished, all of which is about preparing them for primary school. We’re also conscious that there are now more dietary requirements, so we ensure we meet these, whether it’s food allergy, intolerance, religious requirements or vegetarianism. As well as lunch and tea, the children are given snacks and refreshments, with access to drinking water at all times. We are also moderated by the Food Standards Agency annually and continue to receive 5 out of 5 each year for our hygiene rating.